I have done a social entrepreneurship unit with two groups of gifted students, grades 3rd through 6th. It was one of my favorite units . . . ever, and from their reactions, I believe it was one of theirs, too. I call it a perfect STEAM (science, technology, engineering, arts, and math) unit – see https://usergeneratededucation.wordpress.com/2018/05/13/elementary-social-entrepreneurship-a-perfect-steam-lesson/ for more information about this unit. The purpose of this post is to expand on this notion of social entrepreneurship to assist learners in developing a pitch as if they were promoting their product or service to potential funders on a show like Shark Tank for kids. Students employ technology thoughtfully to enhance their reading, writing, speaking, listening, and language use. They tailor their searches online to acquire useful information efficiently, and they integrate what they learn using technology with what they learn offline. They are familiar with the strengths and limitations of various technological tools and mediums and can select and use those best suited to their communication goals. Students critically curate a variety of resources using digital tools to construct knowledge, produce creative artifacts and make meaningful learning experiences for themselves and others. Students plan and employ effective research strategies to locate information and other resources for their intellectual or creative pursuits. A definition of social entrepreneurship is the act of creating a venture or business that can help solve social problems or benefit society. For children, this can mean creating things to sell, providing a special service, or organizing an event to earn money for a cause, resulting in what many experts call “social value” (Young Kids Need to Learn About Social Entrepreneurship). The meaning and intent of social entrepreneurship, in general. Possible nonprofit organizations or causes to whom you would donate the profits. People pitch a business because they need resources. If the goal is to raise startup cash, the target of the pitch is an investor. Other businesses pitch to potential customers to sell their product. Finally, some organizations pitch because they need a partner or resource to help them accomplish their mission” (Business Pitch: Definition, Types & Importance). Your team’s presentation should be a 5 to 8 minute pitch for your social entrepreneurship startup which includes information about the product to be sold, the social cause that will be addressed, marketing plan as well as clearly explains what your company does, why it’s unique, and how it serves your customers. I have done a social entrepreneurship unit with two groups of gifted students, grades 2nd through 5th. It was one of my favorite units . . . ever, and from their reactions, I believe it was one of theirs, too. I call it a perfect STEAM (science, technology, engineering, arts, and math) unit. The first part of this post explains some of the rationale for this project, and the second part describes the unit, itself. From the results, they decided to sell Orbeez Stress Balls and glitter slime donating the profits to our school. They tested out making these products – different sizes and slime recipes – to discover which would be best for production. I acted as the bank and purchased the materials for the learners to make Orbeez Stress Balls and Slime. I saved the receipts, made copies of them, and had each learner create her or his Google sheet to record expenses. The learners created the following promotional flyer using Google Docs. Luckily, our school has a color printer so I was able to print them out in color for the learners to post throughout the school. I grew up in a family where my grandfathers and father were entrepreneurs – they started and ran their own businesses. My paternal grandfather, as a young man, bought a small vacuum cleaner sales store and later, changed it to selling entertainment electronics. Later, with my father, they moved to a larger space with increased inventory. A smaller store was opened in a a town nearby where I was a sales clerk during my teenage years. Their small business was a financial success as it supported our families with a strong middle class lifestyle for close to fifty years. I rejected this entrepreneurship spirit. Making money never interested me (I am a teacher, for gosh sake). Fast forward to last year – I had the privilege of visiting Blanche Kelso Bruce Academy (BKBA) in Detroit and spending some time with its superintendent, Blair Evans. Mr. Evans demonstrated the school’s digital fabrication program and explained their permaculture program. I was impressed with these real-life skills building programs, but what resonated with me was what he said about educating the poor Detroit youth. He said that poor communities are very dependent on purchasing goods and services from sources outside of their communities. They lacked the awareness, skills, and where-with-all related to producing services and products for themselves. The goal is for the youth learn some skills, such as growing their own food or producing their own products, to establish some self-sufficiency. This is reinforced by Steve Mariotti, founder of the Network for Teaching Entrepreneurship (NFTE), an expert in education for at-risk youth. This had me thinking of lessons I learned growing up in family focused on entrepreneurship. I learned customer service, the ethics being in business (and then ethics, in general), focusing on being the best while not worrying about the other “guy” while you do, and the skills-motivation to go after what I need and want. None of these lessons focuses directly on making money. Because of my visit to BKBA and reflecting on my family’s business, I moved from an attitude of rejecting entrepreneurship (thinking it was about working for money) in formal education to being an advocate as I realized all of the life skills it can teach and reinforce. Massive changes brought about by population growth, technology, and globalization not only demand but also create opportunities for “mass entrepreneurship” and thus require everyone to be globally minded, creative, and entrepreneurial. Entrepreneurship is no longer limited to starting or owning a business, but is expanded to social entrepreneurship, policy entrepreneurship, and intrapreneurship. Traditional schooling aims to prepare employees rather than creative entrepreneurs. As a result the more successful traditional schooling is (often measured by test scores in a few subjects), the more it stifles creativity and the entrepreneurial spirit. To cultivate creative and entrepreneurial talents is much more than adding an entrepreneurship course or program to the curriculum. It requires a paradigm shift—from employee-oriented education to entrepreneur-oriented education, from prescribing children’s education to supporting their learning, and from reducing human diversity to a few employable skills to enhancing individual talents. The elements of entrepreneur-oriented education have been proposed and practiced by various education leaders and institutions for a long time but they have largely remained on the fringe. What we need to do is to move them to the mainstream for all children. Students are working in teams to design and construct a small table- or desk-top aquaponics system for the home, and then market their product. In other words, we are blending academics and entrepreneurialism and challenging students to make Hawai’i’s growth more environmentally sustainable. Finally, there is a current push for bringing Maker Education into the classroom. 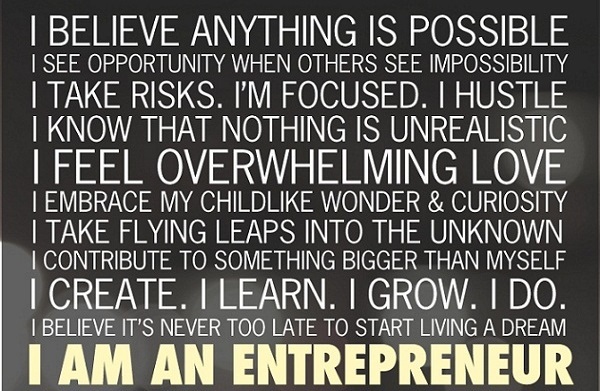 Making and entrepreneurship go hand-in-hand. Recently, President Obama to hosted the first-ever White House maker faire where the theme was A Nation of Makers: Empowering America’s Students and Entrepreneurs to Invent the Future. America has always been a nation of tinkerers, inventors, and entrepreneurs. In recent years, a growing number of Americans have gained access to technologies such as 3D printers, laser cutters, easy-to-use design software, and desktop machine tools, with even more being created by the day. These tools are enabling more Americans to design and build almost anything.